The Pancreatic Cancer Action Network offers webinars, where listeners can learn about various topics from the comfort of their homes. 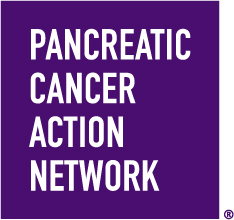 The Pancreatic Cancer Action Network offers webinars, where listeners can learn about various topics from the comfort of their homes. Previously recorded webinars are available below. For additional resources and to learn more about the Pancreatic Cancer Action Network, visit pancan.org. Killing KRAS: The Key to a Pancreatic Cancer Breakthrough? This webinar discusses the most common genetic mutation found in pancreatic tumors. It focuses on research aimed at understanding KRAS in pancreatic cancer and developing more effective treatments. This webinar was recorded on June 16, 2015. The presenter is Channing J. Der — University of North Carolina at Chapel Hill. Watch the webinar here. This webinar discusses the process of molecular profiling and personalized medicine for pancreatic cancer. The Pancreatic Cancer Action Network’s new Know Your Tumor service is also covered. The presenters are Andrew V. Biankin — University of Glasgow and Anitra Engebretson — Pancreatic Cancer Action Network. This webinar was recorded on May 19, 2015. Watch the webinar here. This webinar explores familial patterns of pancreatic cancer, hereditary risk and precursors for pancreatic cancer. The presenter is Teresa A. Brentnall — University of Washington. This webinar was recorded on March 11, 2015. Watch the webinar here. This webinar covers standard treatment approaches and clinical trials for pancreatic cancer. The presenter is Hedy Lee Kindler — University of Chicago Medicine. This webinar was recorded on January 8, 2015. Watch the webinar here. This webinar describes strategies to harness a person’s immune system to fight cancer and discusses progress in this area of research. The presentation also highlights advances in immunotherapy and the future of immunotherapy in pancreatic cancer. presenter is Robert Vonderheide — The University of Pennsylvania. This webinar was recorded on December 16, 2014. The Watch the webinar here. This webinar describes short- and long-term nutritional guidelines after surgery. The presentation also covers general healthy eating tips, vitamins and supplements. The presenters are Maria Petzel from The University of Texas MD Anderson Cancer Center and Jeannine Mills from Dartmouth Hitchcock Medical Center. This webinar was recorded on November 11, 2014. Watch the webinar here. This webinar discusses common nutritional challenges associated with pancreatic cancer including poor appetite and weight loss. It also covers tips to obtain the best results from pancreatic enzymes. The presenters are Maria Petzel from The University of Texas MD Anderson Cancer Center and Jeannine Mills from Dartmouth Hitchcock Medical Center. This webinar was recorded on October 28, 2014. Watch the webinar here. This webinar was recorded on August 18, 2014. Watch the webinar here.